(P1) According to the World Health Organization over a billion adults around the world suffer from high blood pressure. It is now taking steps to fight against what is called a silent killer. High blood pressure can lead to strokes and a heart attack. (P2) Almost 10 million people die of these two diseases every year. They are the number one causes of death globally. High blood pressure also leads to kidney failure, blindness, and other illnesses. It often goes hand in hand with diabetes and obesity, which increases health risks even further. (P3) As the WHO reports, people in developing countries in Africa suffer more from high blood pressure than people in developed countries. The reason is that health care in the developed world is much better organized and people go to the doctor soon enough. (P4) High blood pressure should never be ignored and always taken seriously. It is a warning sign from your body that something is not OK. Although people may live with high blood pressure for years without even knowing it, it is important to check your blood pressure regularly and take the necessary steps. 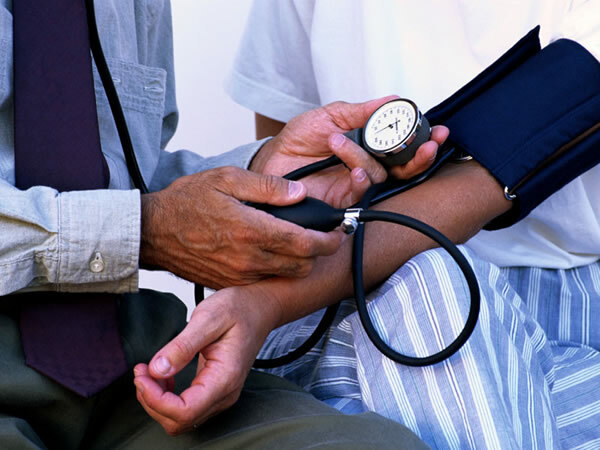 (P5) The WHO says that you can reduce your blood pressure by changing your living habits. Eating a balanced diet, exercising regularly, avoiding alcohol and nicotine are some things that you can do without consulting a doctor. Do you have high blood pressure? If so, how do you control it? How often do you think people should get a medical exam? Why? Do you live a healthy lifestyle? Why or why not? Do you think people living in developing countries become sick more often than developed countries? Why or why not?